From an urban heliport to a downtown oasis of green, Chicago offers one-of-a-kind venues for large corporate groups. Need to accommodate a big group in Chicago? Of course, McCormick Place is the largest convention center in North America, offering the city’s biggest number of flexible spaces under one roof. And it will soon be joined by the neighboring Wintrust Arena, a new 10,000-seat stadium opening in September 2017. But if you’re looking for truly unique spaces beyond the convention center district to host your big group, check out these five exciting Chicago venues. Millennium Park and nearby Grant Park form one giant oasis of wide-open green space in downtown Chicago. Millennium Park offers the option of several event venues located throughout the park, including the stage of the architecturally (and acoustically) impressive Jay Pritzker Pavilion, the Rooftop Terrace that offers dazzling skyline views and the tree-lined Chase Promenades, just steps from Michigan Avenue and overlooking the popular Cloud Gate sculpture. 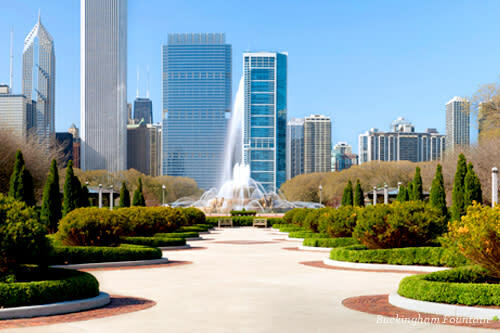 Depending on which venue you choose, Millennium Park can accommodate up to 7,000 people. Take advantage of the lovely blooms in Grant Park and plan an event at the North Rose Garden, located adjacent to majestic Buckingham Fountain. Award-winning rose gardens, plush greenery and perfectly manicured hedges make Grant Park your own secret garden in the middle of the city. The North Rose Garden can accommodate up to 1,780 guests. This well-loved Chicago landmark dramatically juts out into Lake Michigan, providing dazzling water and cityscape views. Navy Pier offers two exhibit halls and 36 meeting rooms. 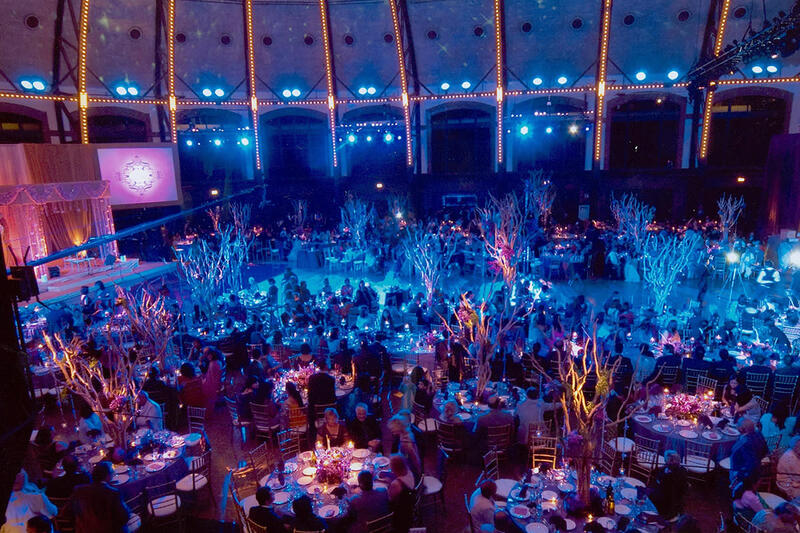 But the real stunners are the nostalgic 18,000-sq.-ft. Aon Grand Ballroom, which is original to Navy Pier’s 1916 construction and features an 80-foot-tall domed ceiling (accommodating up to 1,100 for dinner, with additional seating for 300 in the balcony); and the seasonal Rooftop Terrace, a 27,000-sq.-ft. space equipped with a 50-by-100-ft. tent that can accommodate 350 for a sit-down dinner or 1,000 guests on the entire sweeping terrace. 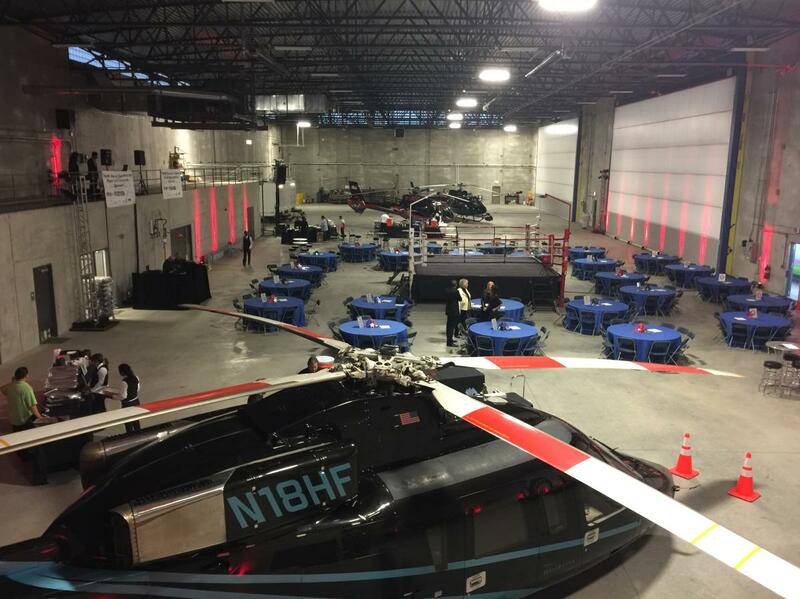 This urban heliport features a 30,000-sq.-ft. hangar with three large bays that open onto a five-acre tarmac. Thousands of guests can be accommodated for large corporate dinners and receptions. 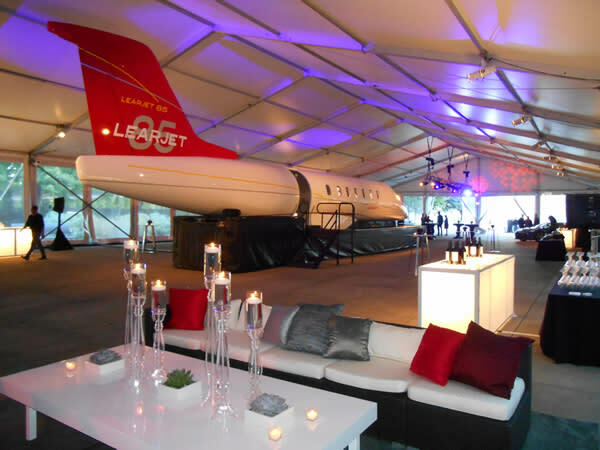 Vertiport Chicago’s configuration makes it the ideal venue for automobile product debuts. VIP conference rooms can be utilized for on-site meetings. The most impressive offering here is the opportunity to provide your guests with private helicopter tours that fly over the city (a particularly dazzling sight at night). 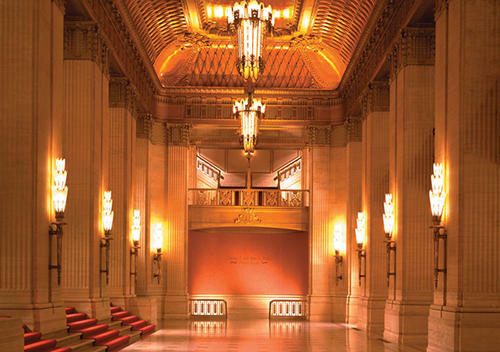 Home to the Lyric Opera of Chicago, the elegant Civic Opera House offers a number of event spaces that just ooze history (the building is a 1920s architectural gem). The Ardis Krainik Theatre seats up to 3,563 for presentations and concerts. Get creative and arrange an opera performance, followed by a banquet set up on the stage with whimsical scenery as a backdrop. Or arrange a cocktail reception in the Art Deco-style Daniel F. and Ada L. Rice Grand Foyer. The three-level foyer can accommodate 700 standing, or 1,100 using both the main floor and mezzanine. The United Center is home to the Chicago Bulls basketball team and the 2015 Stanley Cup Champion Chicago Blackhawks hockey team. 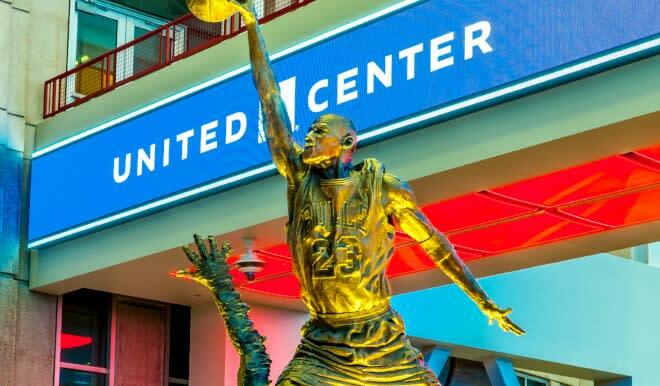 But this stadium still echoes with cheers for basketball superstar Michael Jordan, who is memorialized in bronze making a signature mid-air dunk. A recent renovation has brought the popular statue indoors to a soaring new five-story atrium space, which can be rented out for private events. The sports fans in your group will relish the chance to snap a selfie with the statue of this basketball legend who is still reverently considered one of the best to have ever played the game.